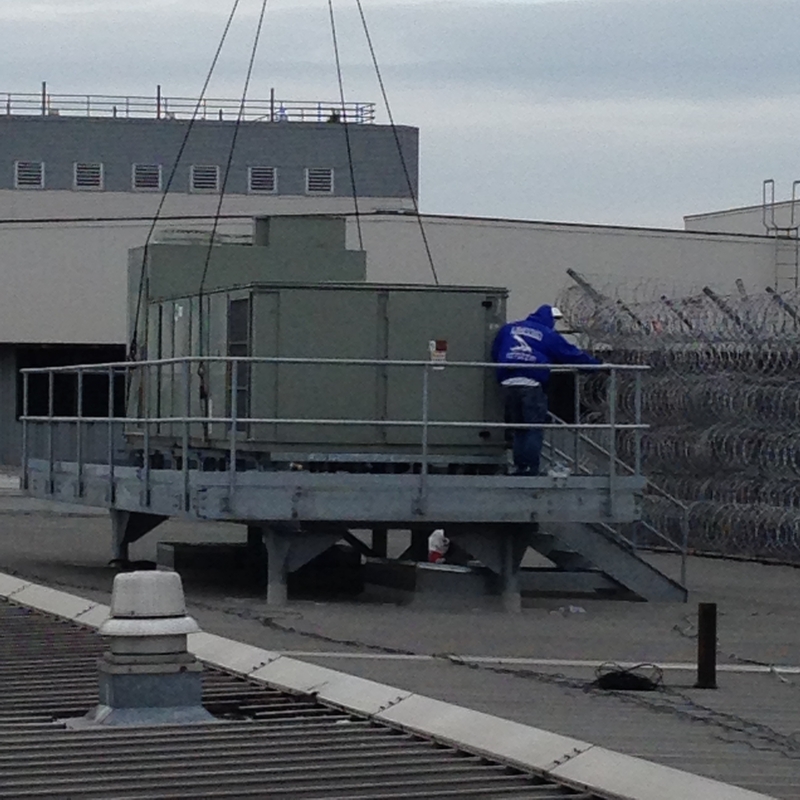 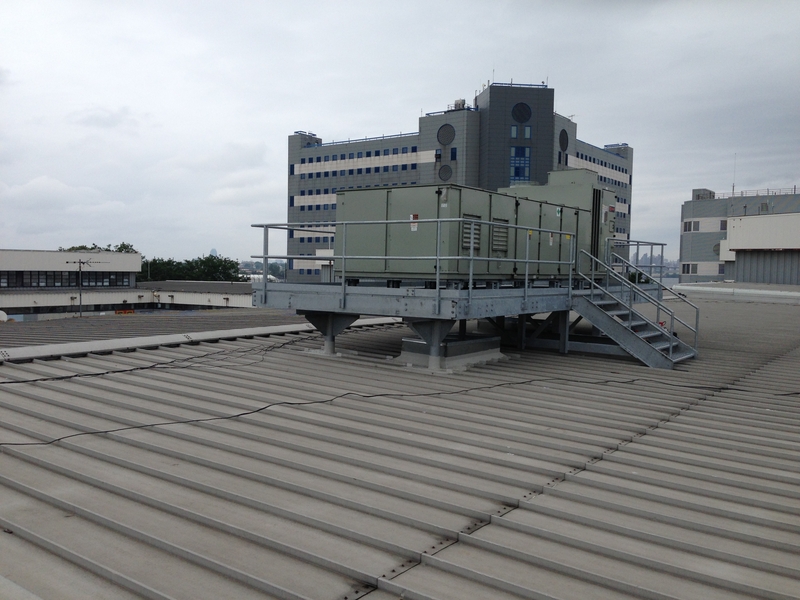 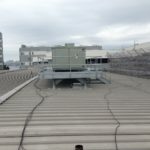 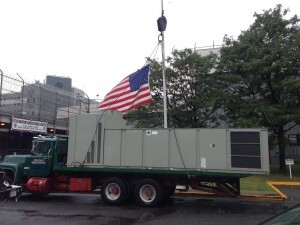 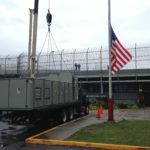 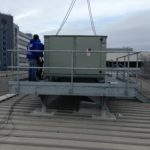 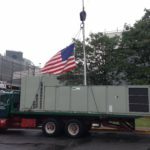 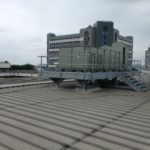 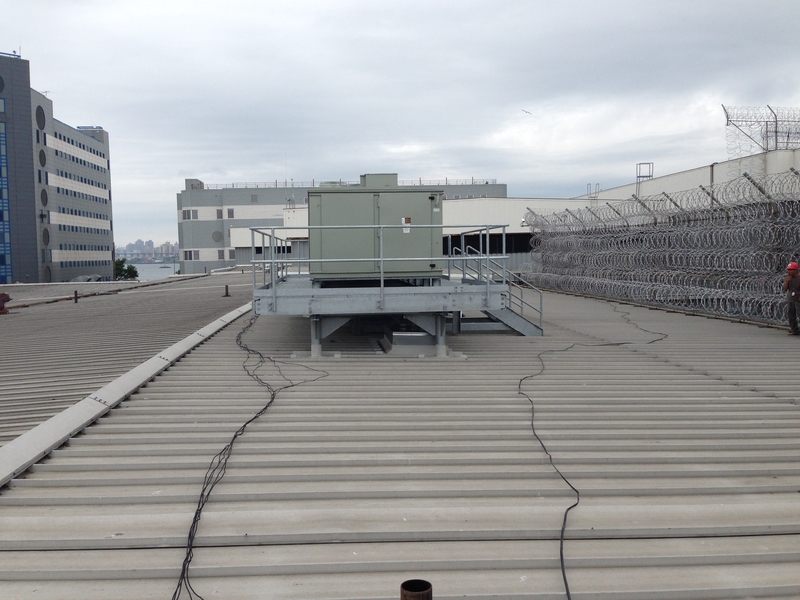 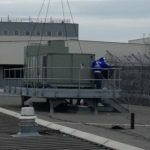 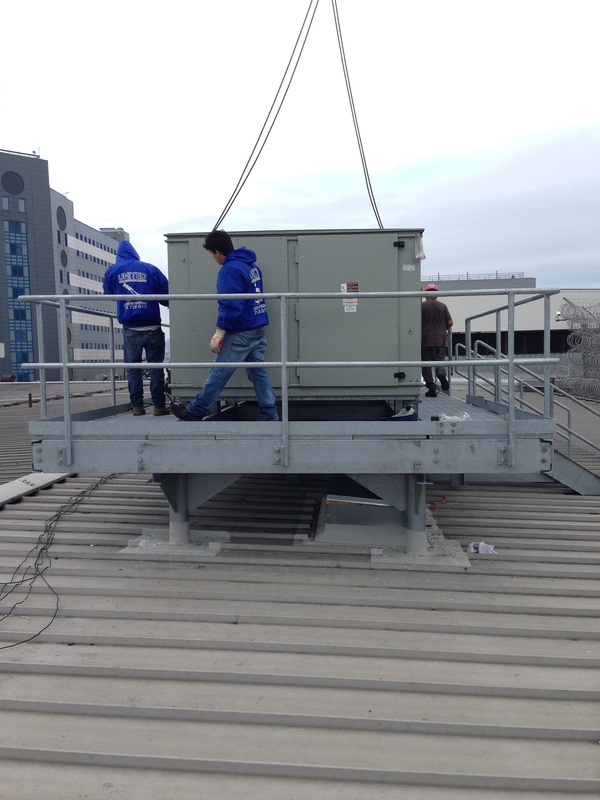 We recently did a rooftop AC unit replacement for Rikers Island. We loaded the unit on a flat bed truck and used a crane to pick the unit and carefully put it in place. 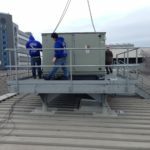 We received, unloaded and stored the unit at our warehouse for a year. 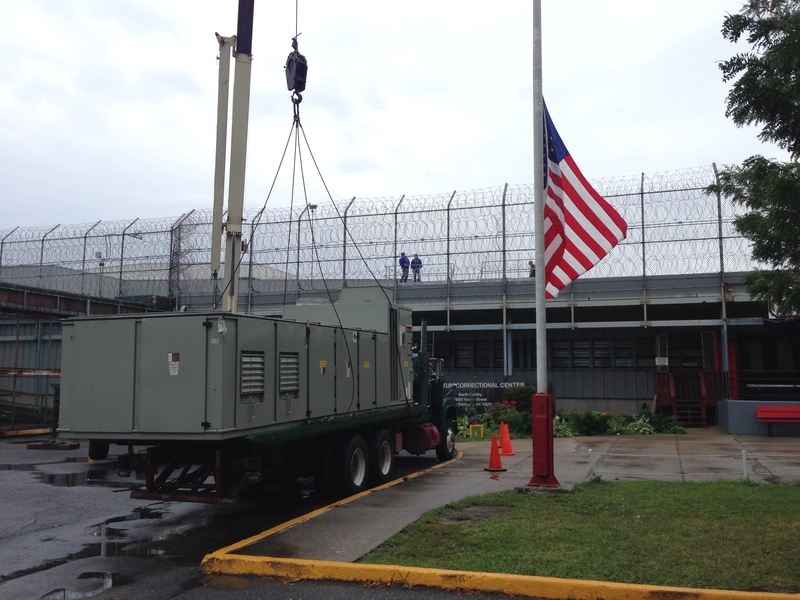 Then, we needed to reload and transport the unit to the Rikers. 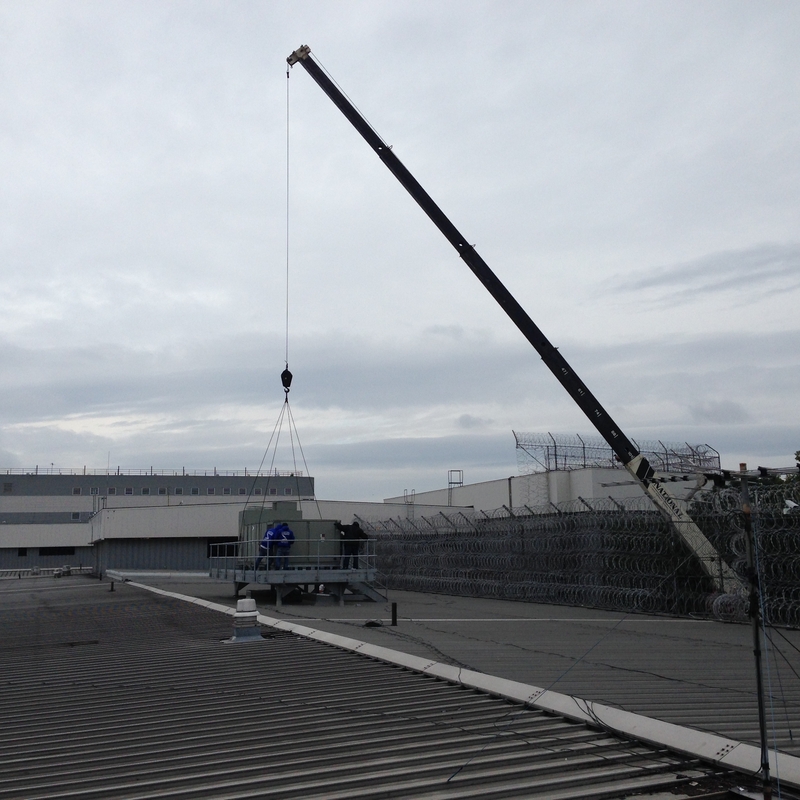 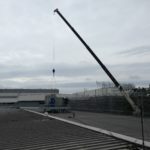 We then used our 40 Ton Crane to unload and set into roof. 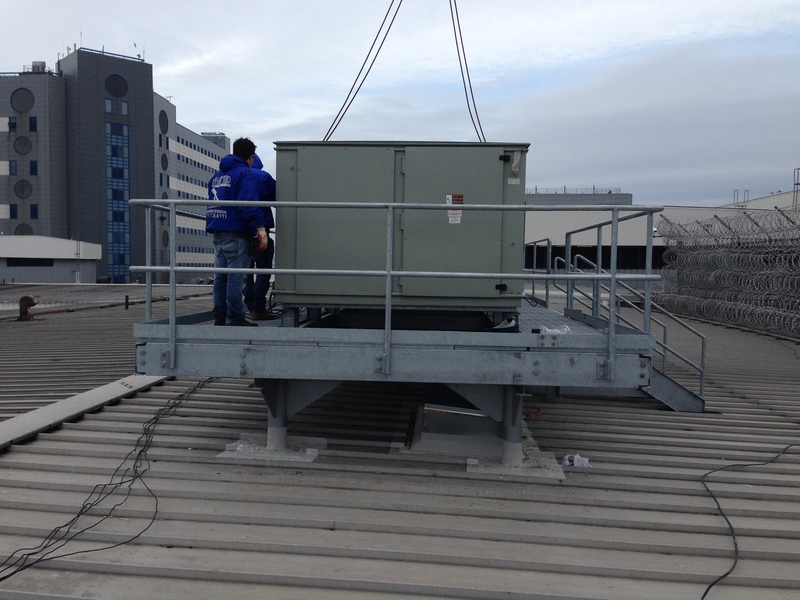 The operator worked with a spotter to make sure that the unit was carefully set in place.